Joelle Cunningham was the new kid at Hoover Middle School. She immediately made an impression on her classmates because of her exceptional skills at softball. However, it was her desire to play baseball that really turned heads, and caused problems. “ ‘Baseball?’ The blond girl frowned. 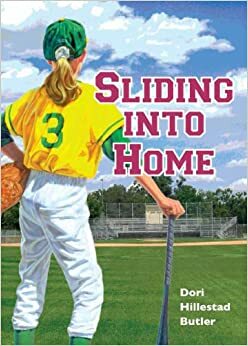 Determined to play, and at the risk of alienating herself from everybody at her new school, Joelle tries every possible way to change people’s minds and the school district policy that prevents her from playing on the boy’s team. When nothing seems to work, she decides to start a league of her own–girls only. But will she be able to find any other girls who share her passion for the national pastime? What’s more, will she finally learn to fit into her new surroundings, despite upsetting the status quo of the entire town of Greendale?